I've been queueing for Accordia Golf Trust (ADQU) for a few weeks and finally hit the target today @ 62 cents (for 5,000 shares only). So, it is a new inclusion to my minion size portfolio. 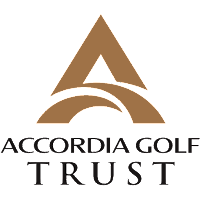 Accordia Golf Trust is a business trust specializing in investments in golf courses, driving ranges, and golf course related assets in Japan. Accordia Golf Trust is based in Singapore, Singapore. 1. To expand my REITs portfolio (after Lippo Malls Trust, Cache Log Trust) for income play. I know business trust different from REITs but for my income playbook, I treat them the same. 2. Accordia is currently trading at a discount of 30% with its NAV of SGD 89 cents (as at Q3 FY 2015/16). Am aware that it could be a value trap but nobody can predict the future. 3. While pending for the full year financial result, expected to be released next week, so far the Q3 2015/16 performance is quite promising. 4. Full year Dividend Yield of Accordia for FY 2015/16 is expected to be over 10%. 1. The unpredictable weather or natural disasters that might impact the operation of the golf course(s) and hence the business. Are you vested in Accordia? What is your view on this counter? Congrats on getting your target stocks!! Well done! You got it in at a good price before the Q4 results tomorrow. I expect at least 4c dividend to be declared for 2HFY15/16, Yen is much stronger now and the weather has been good.